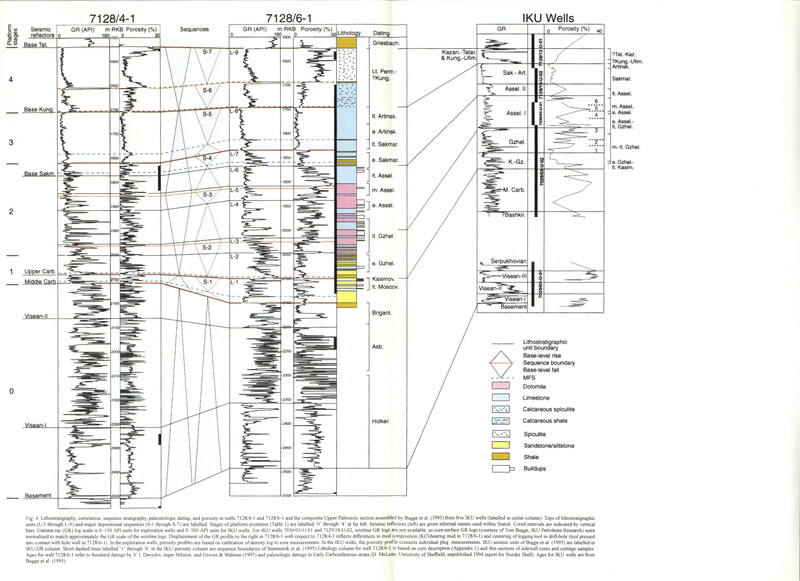 Due to its extensive core coverage (444 m of the 527-m thick succession), well 7128/6-1 provides a unique opportunity for detailed sedimentologic study of the entire sub-surface Late Carboniferous-Permian Finnmark carbonate platform. This 'reference section' is augmented by 51 m of core in well 7128/4-1, 25 km to the west. Based on a combination of core description and a standard set of petrologic analyses performed at fixed 1 to 2 m spacing, the approximately 500-m thick carbonate succession is divided into nine lithostratigraphic units, each comprising a distinct depositional facies association. Trends in microfacies, inferred water depth, cycle thickness, and gamma ray (GR) profile are used to differentiate a hierarchy of stratigraphic sequences, reflecting probable 5th- through 2nd-order fluctuations in relative sea level. Seven main sequences are recognized (3rd- or possibly lower-order}, whose varying facies composition and cyclicity record the changing interplay of eustacy, climate, tectonics, and siliciclastic influx during the 50-60 m.y. history of platform evolution. 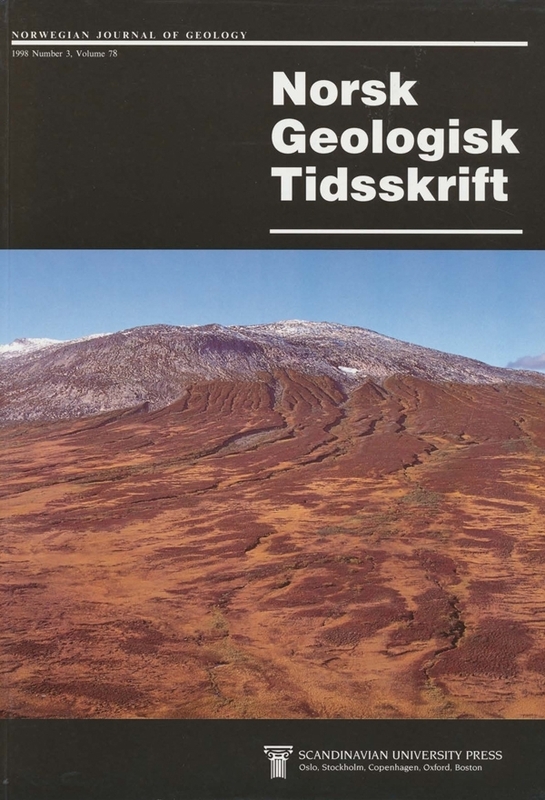 E. B. Nielsen and L. Stemmerik, Geological Survey of Denmark and Greenland, Thoravej 8, DK-2400, Copenhagen N V, Denmark.